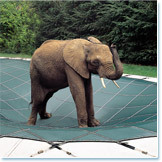 LOOP-LOC Pool Covers Pass the "Bubbles the Elephant" Safety Test! You'll probably never need LOOP-LOC pool covers strong enough to support the weight of "Bubbles," the African elephant seen here, but imagine how safe you'll feel owning the only pool cover that's proven it can! LOOP-LOC Pool Covers! 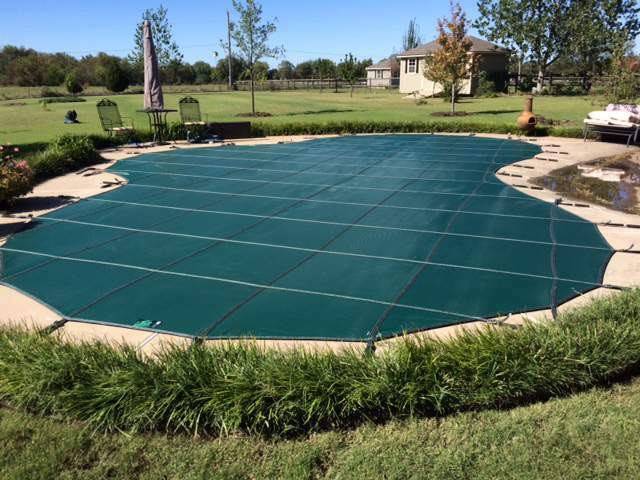 Metro Pool Service has installed hundreds of these very popular covers in the Tulsa metro area. 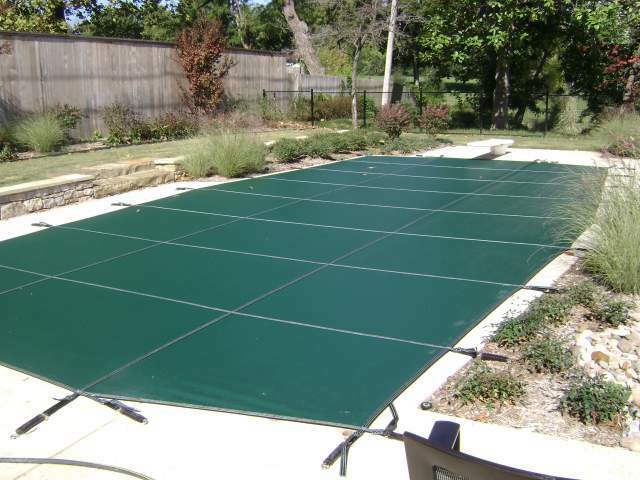 LOOP-LOC Pool Covers Are Built From The Highest Quality Materials! Built super-strong utilizing only the highest quality materials and workmanship, and securely anchored into the deck, LOOP-LOC puts a "lock" on your pool to protect your family. And LOOP-LOC's exclusive Computer Aided Design assures a perfect, custom fit for any shape or size pool. Your LOOP-LOC will always stays tight, clean and beautiful on your pool. With the covers that let the rain water through, the leaves simply blow across the tight surface of the cover leaving no unsightly mess! Now LOOP-LOC's legendary ultra-strong mesh is even better! It's made with a new denser weave that blocks virtually all sunlight but still lets rain and melting snow easily drain through. It's the perfect choice for customers who want less light and debris in their pools, but still want the one of a kind protection of the only pool cover proven safe and strong enough to support an elephant! CLICK HERE to see MORE PHOTOS of Loop-Locs installed by Metro Pool Service. Built super-strong and securely anchored into the deck, LOOP-LOC puts a safety barrier on your pool to protect your family. And only LOOP-LOC pool covers come with the patented "SAFEDGE AND GAPGUARD" child safety intrusion barriers, along with patent pending Secure-A-Gap, Aqua-Loc Zipper treatment, and Cable-Loc treatment. These treatments close the dangerous gaps created where raised obstructions meet the covers edge, so there's no way children or pets can slip through! LOOP-LOC Super Dense Mesh covers are our favorites by far and the ones we always recommend above the other 2 types. 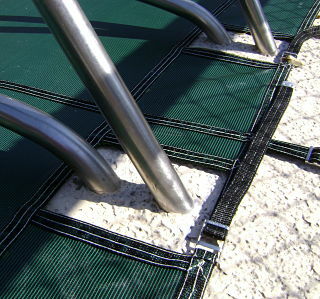 This cover blocks virtually all sunlight, but lets rain and melting snow easily drain through. 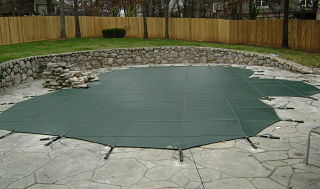 It is the easiest cover to fold and dry when you are ready to use your pool again. It's also the least costly of the 3 types. 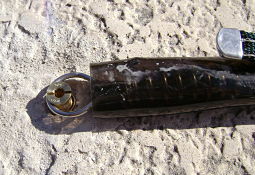 LOOP-LOC covers made of Ultra-Loc are solid so they don't let the water through. They come with a cover pump. They block all of the sunlight and keep all of the dust out of the pool that would come in with the rain or melting snow. They are not as attractive because there is always a little puddle of water that the cover pump can't remove completely. Because of the cover pump, this cover is the most costly of the 3 types. LOOP-LOC covers made of Ultra-Loc with drain panels are solid except for the mesh drain panels located in the center of the cover. They don't require a cover pump because the water can enter the pool through the drain panels. This cover is in the middle of the 3 types when it comes to cover cost. Call Metro Pool Service today to get a quote...............918-622-4400.